Blackpearl’s cape has been crafted from a luxurious weighty wool-blend. 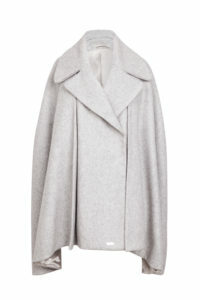 This modern design cape beautifully envelops the shoulders and its voluminous silhouette sways elegantly as you walk. It magically slims and lengthens your figure, and it hits just below the knee. ‘Grace’ cape is not only detailed with lapels, but also has a concealed magnetic fastening at the front. 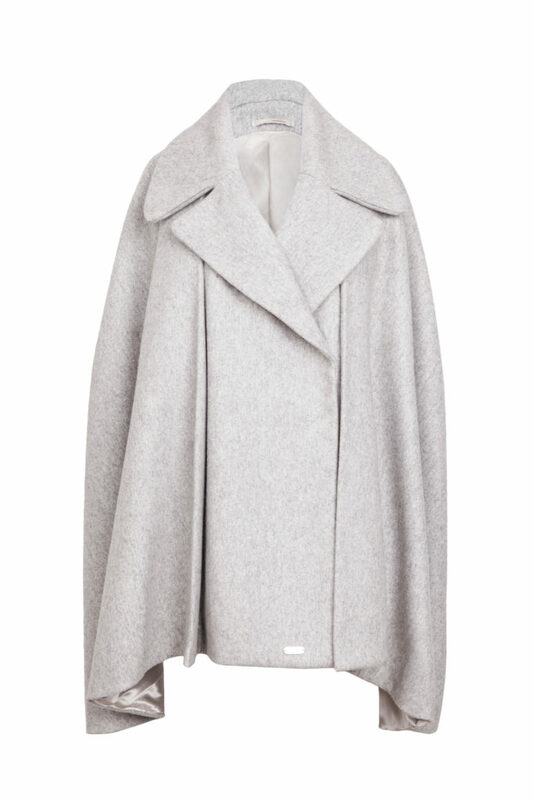 This practical and cozy cape has adjustable slits on the sideways for arms. Wear this timeless piece with everything from tailoring to denim.